Got Historic Photos and Old Sword & Shield Newsletters? Alumni Association Preserving Our Heritage, But We Need Your Help! One of the qualities that sets Phi Delta Theta apart from other fraternities on the U of M campus is our rich heritage of accomplishments by individual members and the fraternity as a whole. 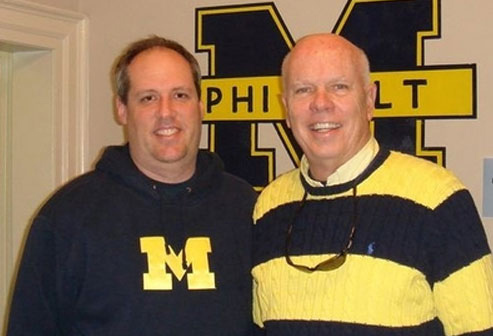 Michigan Alpha boasts a history within the U of M Greek System that includes famous Michigan athletes, campus leaders and many noteworthy achievements. Of course, many of Michigan Alpha's alums have gone on to make significant contributions to their professions and society. 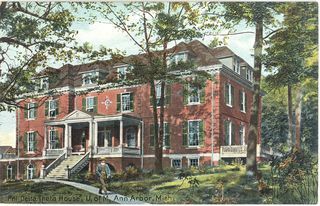 They have upheld the ideals of the fraternity and added distinction to U of M.
The Alumni Association is dedicated to preserving our history and ensuring that the new generations of active Phis understand that they are carrying on a long tradition of excellence to hopefully even better days in the future. We established the Heritage Project to improve the displays in the Trophy Room and other areas of the chapter house while enhancing the Alumni Association's web site. But, we need your help for this initiative to be successful! The Alumni Association is seeking to obtain copies of photos that depict fraternity life as well as individual members who distinguished themselves during their collegiate career or as alums. In addition, the Alumni Association would like to acquire copies of old issues of the Sword & Shield newsletter that was first published in 1930. The Sword & Shield provides perhaps the best written record of our history, but unfortunately we have few issues in our archive before the early 1970s. We will gladly pay for, or reimburse, the cost of reproduction and mailing of materials that help us to build our archive.